Seven games gone. No goals scored. Not a single point on the board and a manager already sacked before mid September. A 33-day long spell without a manager between Sam Allardyce's strange departure and Frank de Boer's appointment disrupted the season for ​Crystal Palace before it had even begun. Transfers seemed rushed and hurried. Pre-season consisted of just four games for the first team squad, and fitness levels were not up to scratch to say the least. The Eagles, as a result of these factors, unsurprisingly set the record for the worst start to a top-flight season in history. ✅ @CPFC confirm @PremierLeague survival. However, only one year later, things are vastly different in every sense of the word. In stark comparison, Palace took just 41 minutes to score this season, as opposed to 641 minutes last season, with even that strike coming courtesy of an own goal from ​Chelsea's Cesar Azpilicueta. Their preparations were thorough, well thought out and organised - just look at the similarities between Jeffrey Schlupp's goal against Toulouse compared to his strike against ​Fulham in terms of build up play and finish. Whatever Hodgson had been drilling into his charges, they've absorbed it into them so much so that it is becoming second nature. Transfers were made concisely and smartly. A shoestring budget as a result of prior heavy spending saw just £9.5m spent, although four players still arrived at Selhurst Park in what was an excellent window in terms of value for money. Cheikhou Kouyate arrived for the aforementioned sum, whilst Germany starlet Max Meyer and keeper Vicente Guaita arrived for free. Jordan Ayew was also brought in on loan. In truth, the season opener against Fulham doesn't concretely represent the Eagles' fate this season; you only have to look at ​West Brom's successful start to the 2017/18 season to tell you that early results should not be taken as gospel. However, an avid fan of the south London side will tell you that there is cause for optimism in the result at Craven Cottage. Since their promotion to the ​Premier League in 2013, Palace have struggled with stability, with eight managers occupying the Selhurst Park home dugout in just six seasons. Only on three occasions have the Eagles began a season with the same manager they ended the previous one with since their ​Championship play-off final success. Ian Holloway, Alan Pardew and Hodgson. The first of which ended with Holloway walking away with his side rooted to the foot of the table. 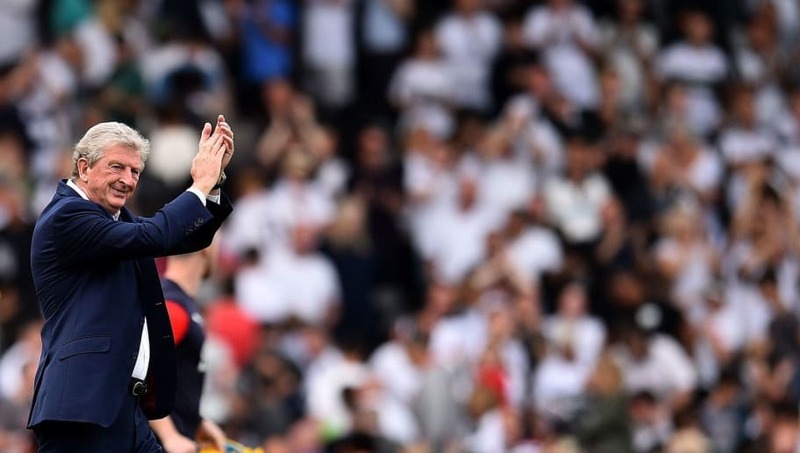 The second, under Alan Pardew, began brightly and ended with an FA Cup final, before the club were ultimately 'Pardewed' and stared relegation in the face. So on the third occasion that Palace have found what they would consider to be a bit of stability, there is the unanimous feeling that with Hodgson the club are in consistently safe hands. Additionally, with what many consider to be the best Crystal Palace squad in their history, everything seems to be adding up for a seriously exciting season. In goal, where Wayne Hennessey's usual incompetence has instilled nervousness in the backline, Guaita's arrival seems to have been the much needed kick up the Welshman's backside, if his performance against Fulham is anything to go by. Before him, a £36m partnership of Mamadou Sakho and James Tomkins is yet to taste defeat in 16 Premier League games, winning 11 of them. In the full back positions, so often a poisoned chalice for Palace since promotion, arguably two of the club's brightest players - Patrick van Aanholt and the excellent Aaron Wan-Bissaka - go about their work. It is telling that the pair recorded the assists for the two goals against the Cottagers. In the middle of the field, Hodgson is blessed with the talents of his captain Luka Milivojevic, who is looking more and more like Palace's greatest ever signing. The Serbian's robustness, paired with his talent on the ball, provides the perfect foil for James McArthur's goalscoring ventures, or Meyer's diminutive frame when he eventually earns a start. Forgive me if it feels as if I am merely listing the players at Hodgson's disposal, but the players on paper alone are the cause of most of SE25's currently unrivalled buoyancy. It is a squad packed with attacking flair, defensive diligence and a raft of top level experience. Anyway, back to it. In attack, Wilfried Zaha's talents need no explanation. The mercurial Ivorian is leading this side at just 26 years of age; his inventiveness, flair and confidence paving the way for his teammates to follow suit, not to mention his unbridled passion for the club and their fans. Andros Townsend's phenomenal work rate and fatherly encouraging of the young Wan-Bissaka behind him, has seen him become a firm fans' favourite. Christian Benteke is looking to put the worst season of his life behind him, and looks capable of achieving that goal with his recent showings. I could go on, for even the reserve players are names to ignite the fire of optimism. There was the sense that Palace could've surged on higher up the table last season were it not for an unprecedented plague of injuries, so to see everyone come out of west London on Saturday unscathed was a victory in itself. Should the current crop stay fit, there is absolutely no reason why the 71-year-old at the helm wouldn't be able to replicate his European successes from days gone by. However, this is Crystal Palace after all. Everyone who holds the club close to their heart is just waiting for something to go wrong. For now at least, supporting this roller coaster of a club couldn't be more exciting.